Last I checked, this anime was available on DVD at Amazon, and in manga at Amazon. The above info came from Emme Gomez, and was edited by yours truly (contact me). The image came from Amazon.com. 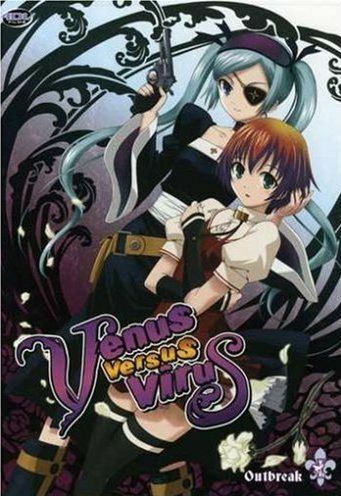 Two girls names Lucia and Sumire fight demons called "Viruses" that take peoples souls called "fragments". They work at Venus Vanguard, Lucia's place she created to find people that can read a brochure because they can see the viruses. Their group, with Nahashi and Laura, hunt the viruses to save people and find out the reason of why viruses are spreading. Later on, Lucia finds that she needs Sumire more than she thought. The above description came from Emme Gomez, and was edited by yours truly (contact me).